Summer session is traditionally geared toward students in the middle of their college careers, helping them make progress on their degrees. But at the University of Wisconsin–Madison, Summer Term is increasingly valuable to students at the beginning of their academic journeys. This year, the university unveils the Wisconsin Experience Summer Launch, which ensures that incoming freshman make a smooth transition to campus. They can earn credit toward their degrees, meet other students, and learn about UW–Madison resources before the start of fall semester. The Wisconsin Experience Summer Launch allows freshmen to take an online course beginning in June. Students will work with an academic advisor to choose among five popular courses in art, communication arts, gender and women’s studies, journalism, and psychology. They will also enroll in a one-credit online course on academic learning techniques and the one-credit online Wisconsin Experience Seminar. In August, they can move into their residence halls a few days early and participate in programs with their fellow summer learners. Scholarships for the program will be available. The Wisconsin Experience Summer Launch joins UW–Madison’s other early-start programs, including the International Student Summer Institute, the Mechanical Engineering Summer Launch, and the College of Agricultural & Life Sciences’ QuickStart Program. They’re part of UW–Madison’s recent effort to make Summer Term more valuable to a wide range of students. In the past three years, the university has boosted scholarship funding, increased online and in-demand courses, and expanded undergraduate research opportunities, among other innovations. As a result, undergraduate headcount for Summer Term has risen 33 percent since 2015. Last summer, more than 900 students received $500 to $1,500 scholarships through the Undergraduate Scholarship for Summer Study. In 2019, UW–Madison will increase funding to $1 million to make Summer Term financially accessible to as many students as possible, as well as expanding the Summer Housing Boost program that helps eligible students with the cost of campus housing. The university encourages schools and colleges to experiment with creative offerings during Summer Term. Among next summer’s highlights is Audio Electronics for All, in which students work with mixing consoles that connect to their personal electronic devices. Given the popularity of online courses for summer, schools and colleges are also adding Introduction to Finance, Marketing in a Digital Age, The Comparative Study of Genocide, and other online options. 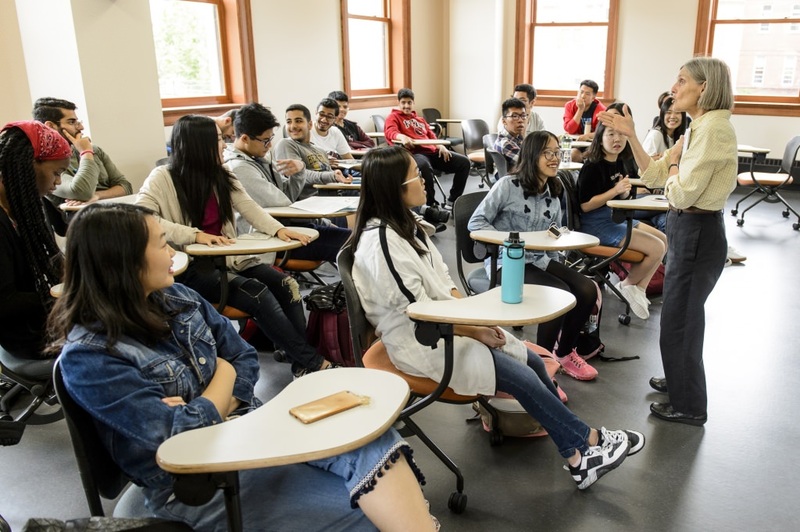 Enrollment for Summer Term 2019 opens April 1, and the course guide is now available at summer.wisc.edu.